These are our Terms and Conditions, which every student undertaking a course with, is deemed to have read and accepted. These Terms are subject to change from time to time so please understand it is your responsibility to check them prior to purchasing. All sales are non refundable. 1. Course selection. Select the course that you require and please speak to a Pink Belt Kickboxing staff member to assist you if you require career or professional advice to ensure that you are selecting the right course for you. In case you decide to submit your details over the phone to a member of Pink Belt Kickboxing team who will fill the online enrolment form for you –Pink Belt Kickboxing Terms & Conditions apply to your booking entirely. 4. Overdue payment and attendance. Pink Belt Kickboxing reserves the right to disallow a student from attending a course if there are outstanding or overdue payments on their account. This is the same for online courses. Your account will be suspended in this case and all materials frozen. Any outstanding payments must be cleared before any attendance and this will be strictly applied. Students who fail to settle overdue payments after 2 written reminders (letters, or emails) will be automatically passed to Credit Protection Association to commence a legal debt recovery procedure. 5. Course confirmation. 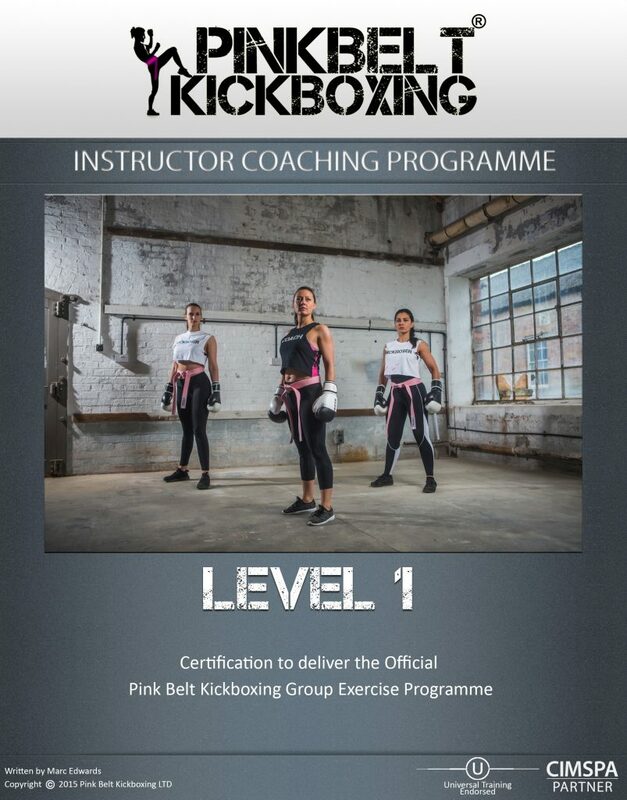 Pink Belt Kickboxing cannot book and confirm your place on a course until we have a completed application form and full payment or a payment plan arranged by Recurring Payment Agreement or an official purchase order number from an employer. If you have not received confirmation email from us that you are booked onto the course, it is your responsibility to check that payment has reached our finance department. 7. Cancellations & non attendance. By signing and returning the enrolment form or by submitting online, you are agreeing to undertake and pay in full for your training. By using our website or enrolment/booking form or placing an order over the telephone or via email you are confirming your acceptance of our Terms and Conditions. Please note that if you are not the billing card owner, you must obtain the full permission of the cardholder before placing an order on the website or via enrolment form or over the telephone. You have the right to cancel your booking providing you do so within 48 hours of your confirmed enrolment date which will be the date and time that we received (or completed on your behalf) your enrolment form and received your initial payment. If your course falls within 48 hours of your booking you will not be eligible for a refund. Please note that in the case of cancellation there will be a cancellation fee deducted from your payment to cover the administration costs incurred by Pink Belt Kickboxing. The cancellation fee will be either £80.00 (for courses priced up to £500.00 incl. VAT) or £100.00 (for all courses priced above £500.00 incl. VAT). Cancellation fee for 1 day courses will be £50. If you cancel a course, you must immediately return all course books and materials to us within this time limit and these must be in the condition which they reached you or you will be charged the cost of the manuals. This is required before we can make the refund. Each application for refund will take up to 14 working days to be processed. 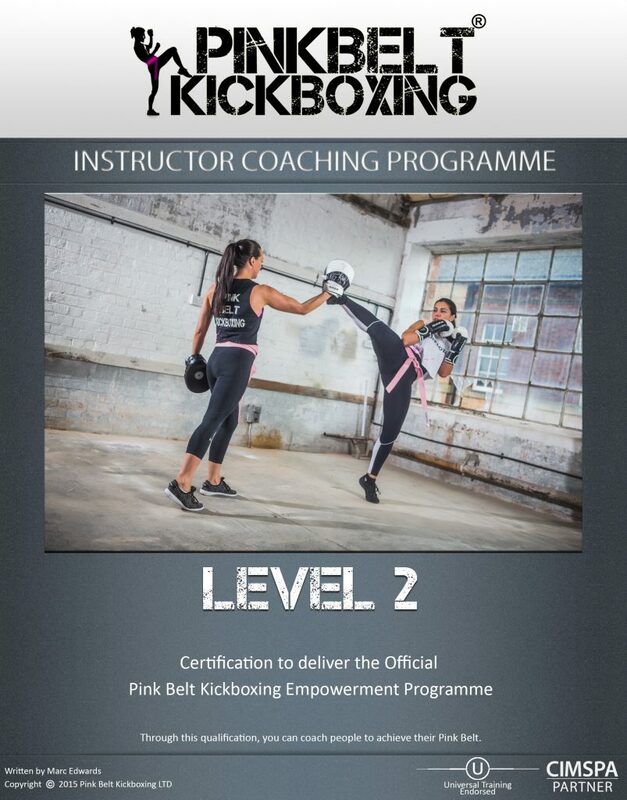 In the event of valid cancellation within 2 days if a recurring payment plan has been set up, Pink Belt Kickboxing reserves the right to deduct the second instalment for which will then be refunded to the customer’s card once received. This is due to the arrangement between Pink Belt Kickboxing and merchant services provider. If you decide to cancel your booking after 48 hours of booking NO REFUNDS ARE GIVEN and this includes circumstances such as illness or injury or for any reasons that mean you cannot attend or undertake the course. In such circumstances you may be able to transfer your course to a third party, or apply for an indefinite extension, but in these circumstances you will need the express written agreement from Pink Belt Kickboxing. If you fail to attend and fail to inform us that you will not be attending, you will have to re-book the course and pay the full fee (minus the cost of the materials) once again. If you fail to attend a course and have outstanding payments you will be still be required to pay in full. 8. Transferring your course date. Once a course has been booked you will be expected to attend the tutorials and assessments for the dates that you have agreed. However, if you cannot attend your chosen dates for any reason and you wish to change to another date, we will arrange to reschedule you onto a future course – subject to availability of course spaces and a £100 transfer fee. If you inform us within 7 days of booking the course (your confirmed enrolment date) this transfer will be free of charge. If you do wish to transfer, it is very important that you notify us in writing (e-mail is acceptable) a minimum of 24 hours before your course attendance. Failure to notify us will result in you being recorded as a non attendee in which case you will be required to pay the full course fee again if you wish to re-book. The transfer fee for all one-day courses is £50. You can only transfer a course date 3 times and until your transfer fee is paid you will not be booked onto the next course. If you cannot attend for medical reasons, providing that you produce a valid medical certificate the transfer fee may be reduced by 50% at the absolute discretion of Pink Belt Kickboxing. Pink Belt Kickboxing can only confirm your place on the new course after the transfer fee is paid in full. 9. Assessments. Please note that for the live practical assessments you must arrive on time. Failure to be punctual may result in you losing your assessment place and require you to reschedule at an additional cost of £100 (practical) £50 (Theory). Also, for certain courses students must arrange to bring two people along to the assessment day to act as class participants for the teaching demonstrations and they will be required for the full day. PT and Gym students must bring one subject for the practical assessment and they are likely to be required for around one and a half hours. Failure to supply assessment subjects may result in your assessment being cancelled in which case you will have to reschedule at a cost of £150. Pink Belt Kickboxing can only confirm your new assessment dates after the £150.00 is paid in full. 9.a Re-sits. If you refer (fail to meet the assessment criteria) either a practical or a theory assessment you will need to arrange to re-sit. All practical reassessments are charged at £100.00 each and theory re-sits are charged at £50 each. You are entitled to unlimited re-sits. “If you refer an assessment you will need to re-book online and this is the only way that you can arrange a re-sit. It is your responsibility to ensure that you have checked that the time, date and location of the re-sit is the correct one that you require. Pink Belt Kickboxing can only confirm the new exam date when the applicable fee is paid in full. Non-compliance to the rules of conduct during an assessment including malpractice in any exam will result in the student’s immediate withdrawal from the exam. The student will then be subject to an additional fee to re-sit this exam. Serious malpractice may result in complete withdrawal from the course without recourse to a refund. 11. Venues & dates. Pink Belt Kickboxing endeavour to book quality training venues at convenient times and dates. However from time to time these may change and this may be outside of our control. Furthermore we cannot guarantee that all courses will reach the minimum numbers required to run the course, subsequently we reserve the right to reschedule or cancel the courses should this occur. Where this is the case notification will be sent to you via email and you will be entitled to a free course transfer to an alternative course date or venue (subject to availability). With this in mind we suggest that any travel or accommodation booked is flexible to allow you to transfer as we will not be liable for non refundable travel and accommodation. Occasionally the Awarding Organisation’s change the course syllabus and where students have booked a long time in advance, additional time and new learning materials may be required. 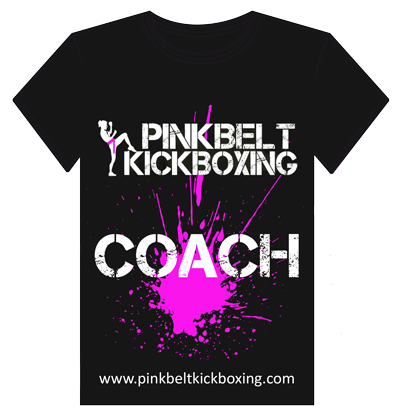 If the delay is not as a result of a change of dates from the original course that you booked, then Pink Belt Kickboxing will provide new materials. 12. Certificates. Course/module certificates will be issued to the students only after the payment for the course was received in full by Pink Belt Kickboxing. The certificates will be sent to the student electronically (via email). If a student requires a replacement certificate, the student will need to make a payment of £15 in full before the replacement certificate is requested. 13. Updates. Please always refer to the current version of Pink Belt Kickboxing Terms & Conditions available on www.Universal-Training.com website or from a member of staff upon request. 3. In case that the payment has not been processed because of lack of funds in the account given, the Student will be given 5 working days to pay the outstanding amount do Pink Belt Kickboxing. 4. For the Student whose payment fails, from their debit/credit card, Pink Belt Kickboxing will charge a £10.00 non-payment fee for each failed attempt. For the purpose of clearing an outstanding balance Pink Belt Kickboxing reserves the right to take a payment from any payment card provided by the Student. It is the Student’s responsibility to check their account deductions and contact Pink Belt Kickboxing immediately to make the outstanding payment, if any of the transactions were not processed. Pink Belt Kickboxing aims to inform the student about outstanding payments however due to external circumstances or incorrect contact details Pink Belt Kickboxing may not be able to contact the student after each missed payment. 5. Pink Belt Kickboxing will accept the following cards only: Visa Electron, Visa Debit / Credit, Mastercard, UK Maestro. By providing the card details the Student agrees that they are the owner of the card or have been fully authorised to use the card by the card owner. 8. Pink Belt Kickboxing does not have the facility to make any changes or cancellations to the existing payment agreement. In case student decides to pay off the total outstanding balance after the recurring payments has been set up the interest fee still will be charged. 2. If you are paying in monthly instalments, you have agreed with the Pink Belt Kickboxing team a monthly amount to be paid each month by standing order and the time scale that this will be paid over. If your payment date changes please contact the support team with the new date and the reason for change. If a payment is missed this could result in you being removed from the course. From time to time, Pink Belt Kickboxing may need for whatever reason to change course dates or venues. Pink Belt Kickboxing will let you know as soon as possible if this situation arises and transfer you to the next available course date and venue. Pink Belt Kickboxing accepts no responsibility for any additional costs or losses incurred by you in moving to the revised date and venue. In the event that a student would like to request to cancel a course or transfer, they must apply in writing by post or email to the Pink Belt Kickboxing Support Team at least 2 weeks prior to the start of the course or relevant attendance day. No refunds will be given after 28 days from the date of purchase of the course. In the event that a refund is granted, the course deposit will be deducted from the monies returned to the student. Any course materials or electronic hardware must also be returned to Pink Belt Kickboxing in saleable condition. If the materials are deemed not fit for resale, further deductions may be made from monies to be refunded. Pink Belt Kickboxing is a trading name for Pink Belt Kickboxing LTD. All cheques should be made payable to Pink Belt Kickboxing LTD.